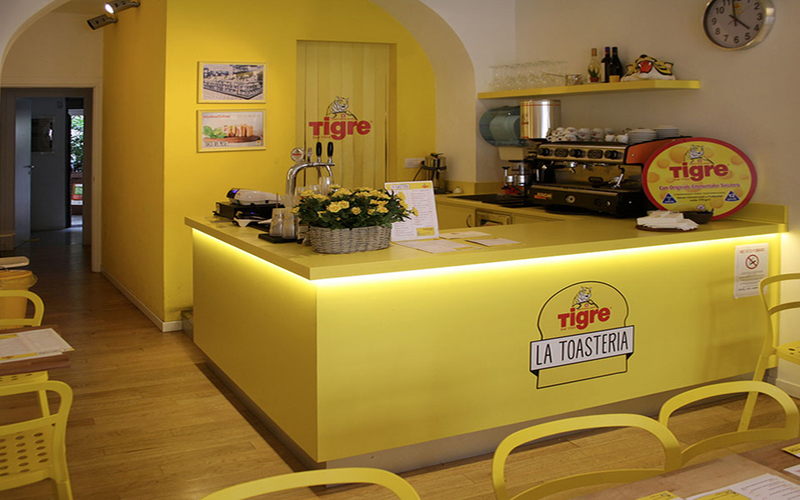 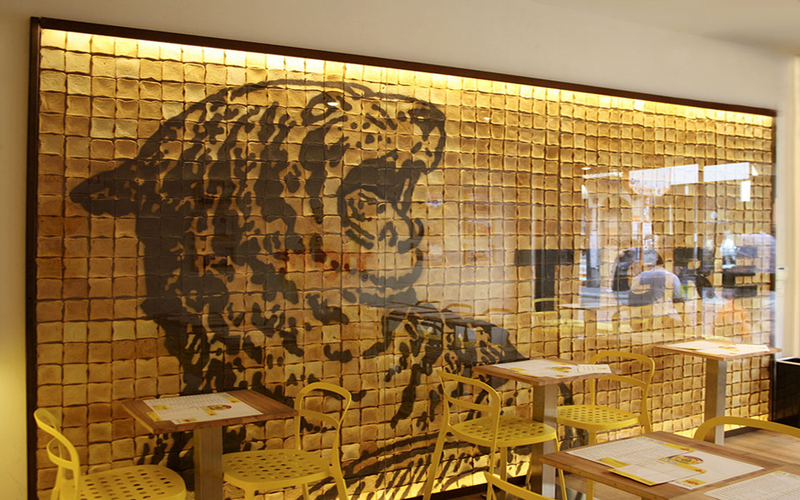 Set at the centre of Milan nightlife, in Corso di Porta Ticinese, this Tiger cheese toast-store comes from the renovation of a small clothing shop. 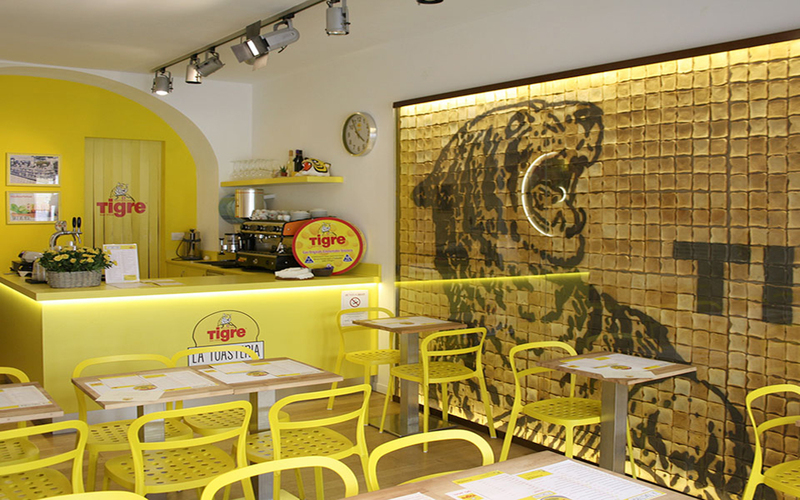 The concept of this space has been developed around the main features of the brand and the location: taste, tradition and dynamism are the main points on which we focused for creating graphics and interior custom-made furniture. 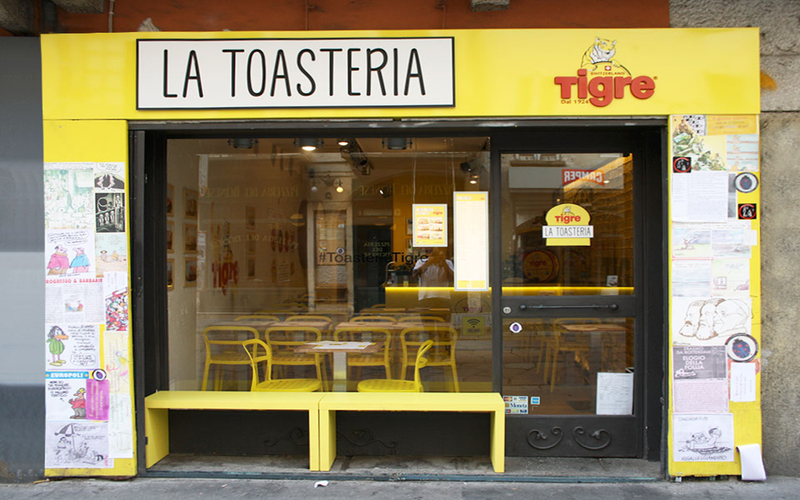 This location extends lengthwise, a typical feature of all shops in this street. 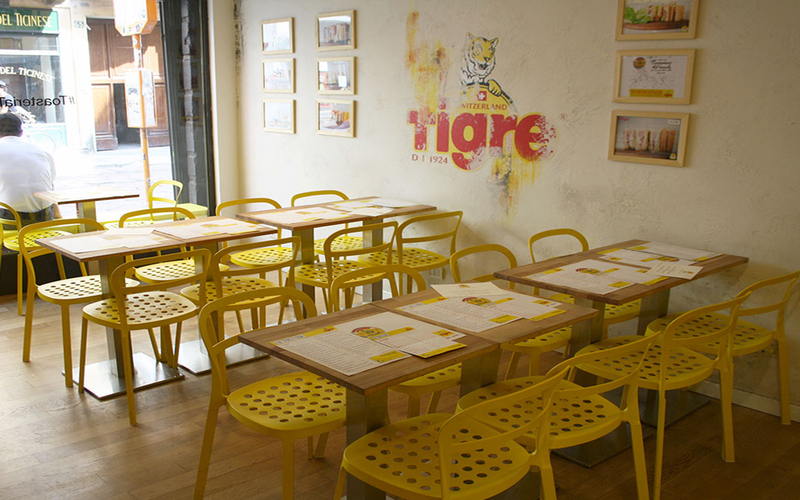 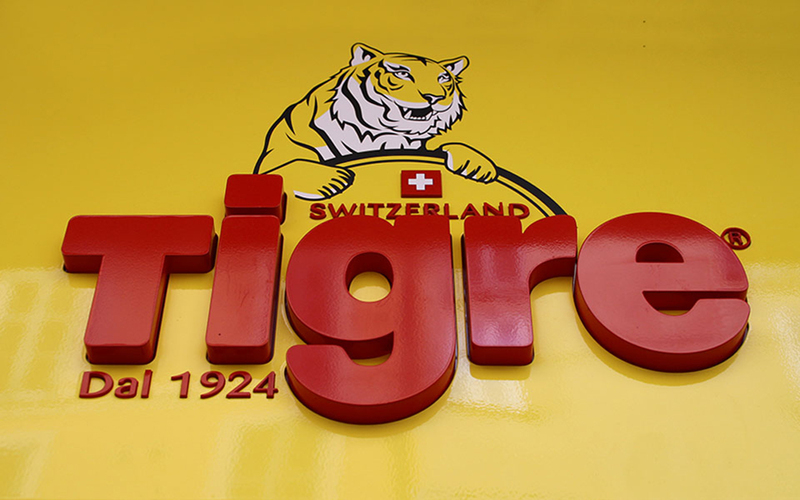 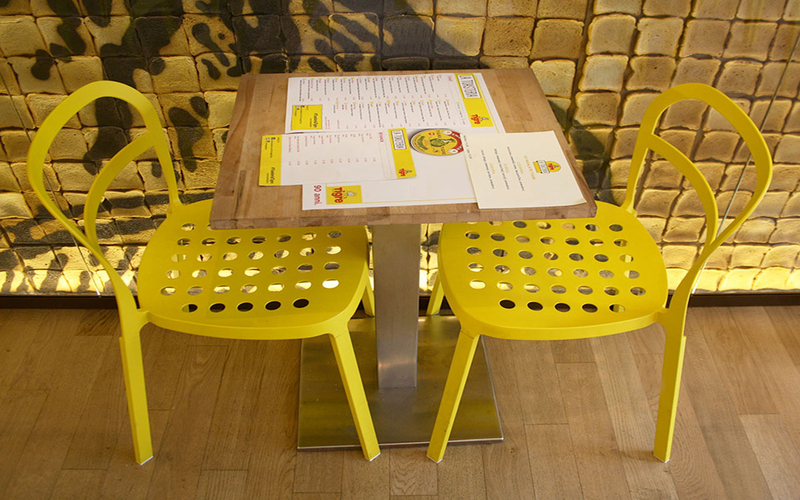 From the entrance you have access to the snack area made up by table-totem whose shape refers to the typical holes of Tigre cheese, as well as the decorations on the wall. 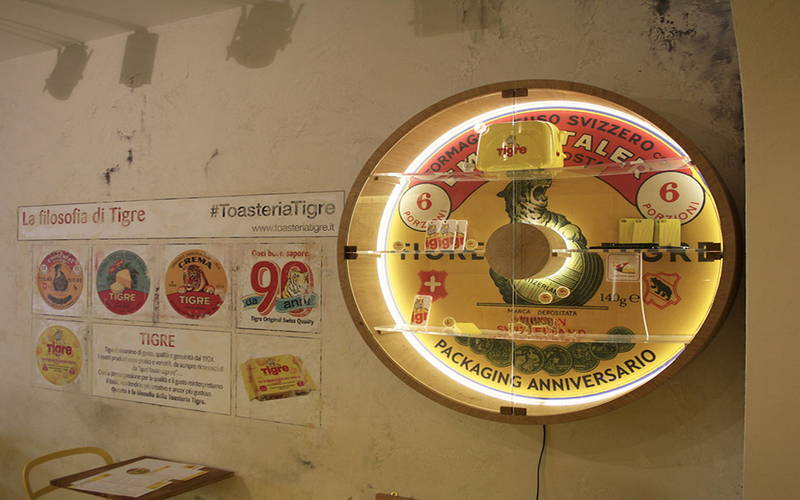 In the final part we have the counter, focus of internal activities. 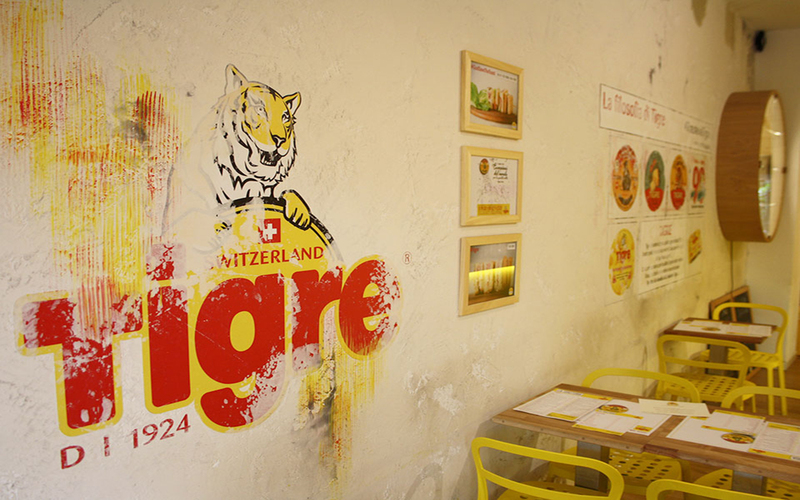 Graphics on the walls refer to company’s history and description of the product sold . 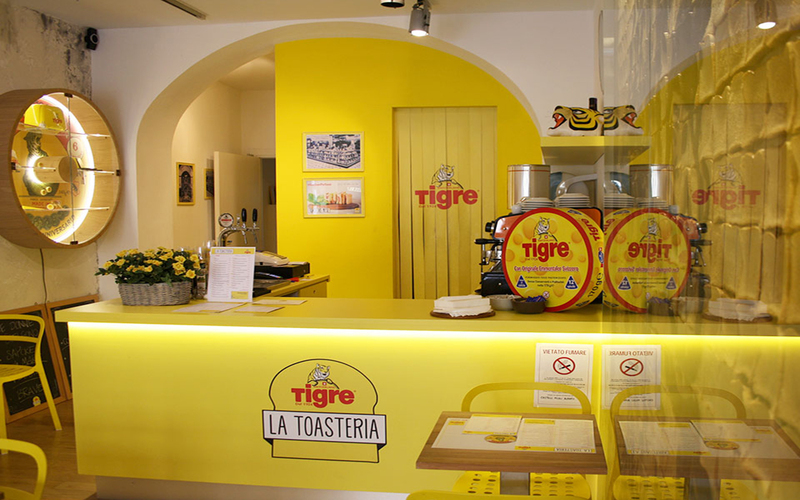 There is also an area of ​​interaction between customers and store thanks to the boards on the right wall. 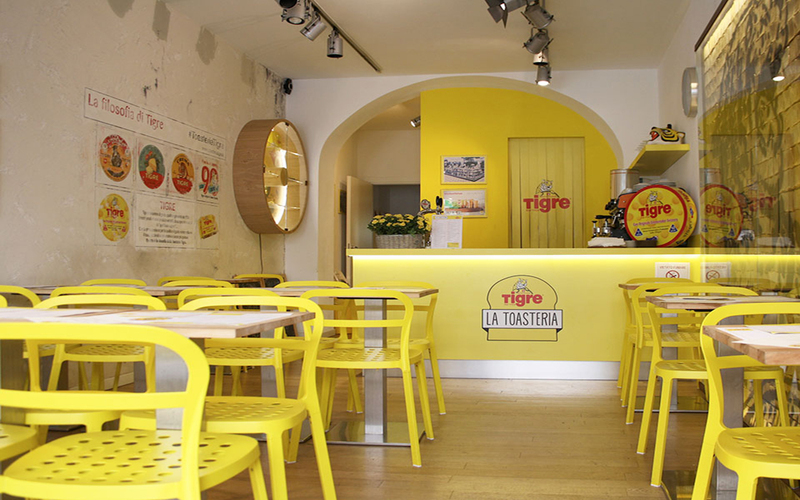 The result of this intervention is then a fresh, dynamic and modern space, perfectly integrated with the social context in which it is located.